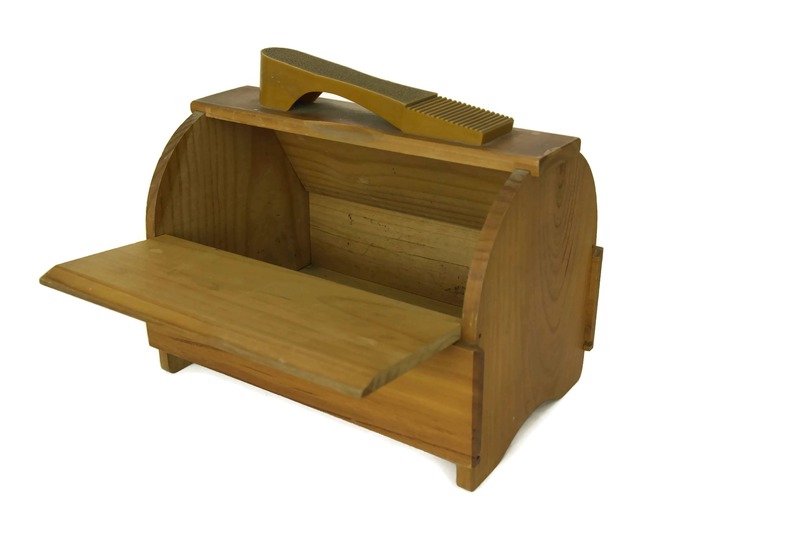 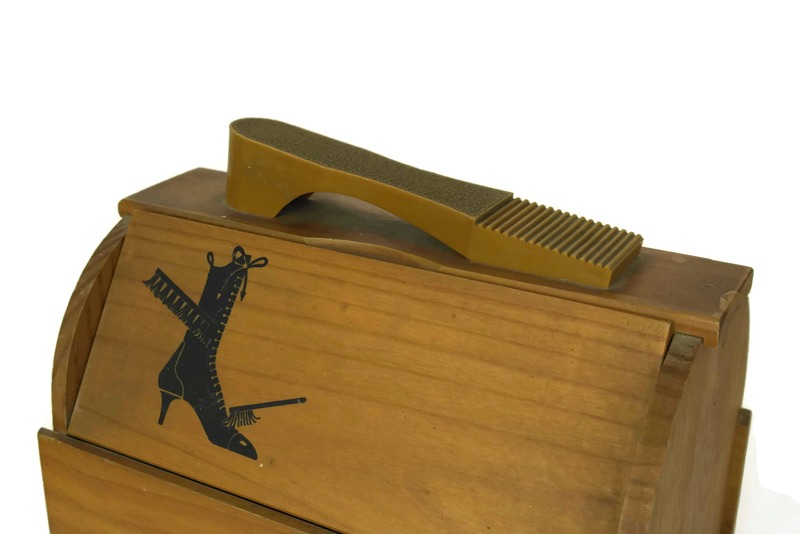 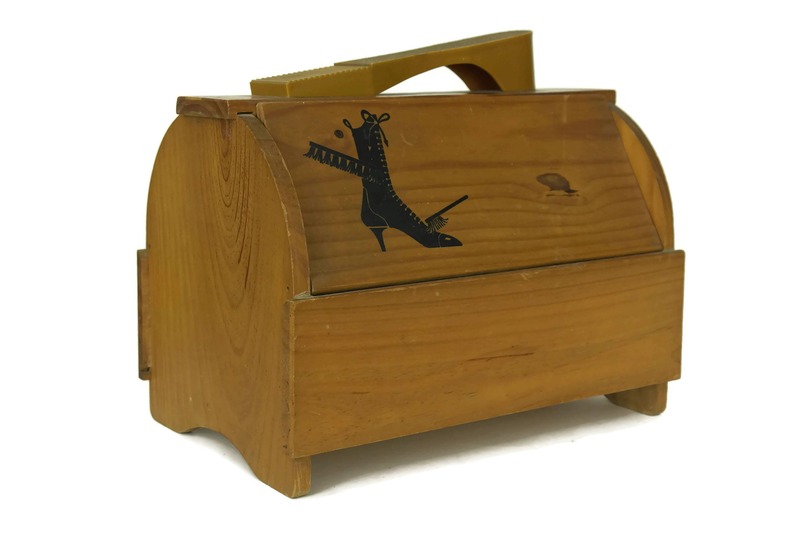 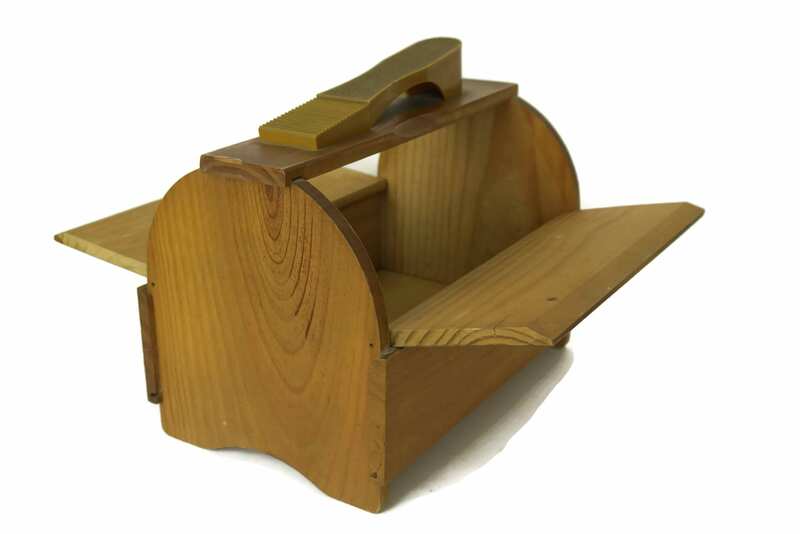 An elegant vintage shoe grooming wood box dating to the 1970s. 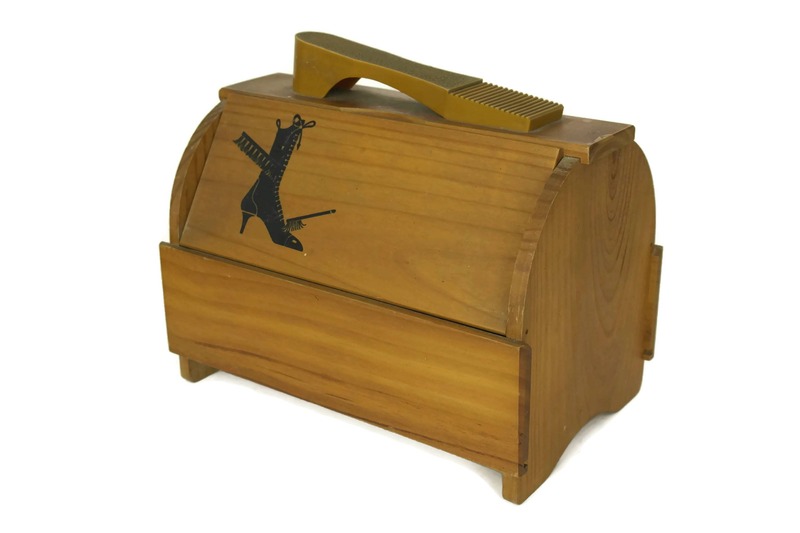 The French ladies shoe care chest has been made from wood and features two flip down lids with a bakelite foot rest and handle. 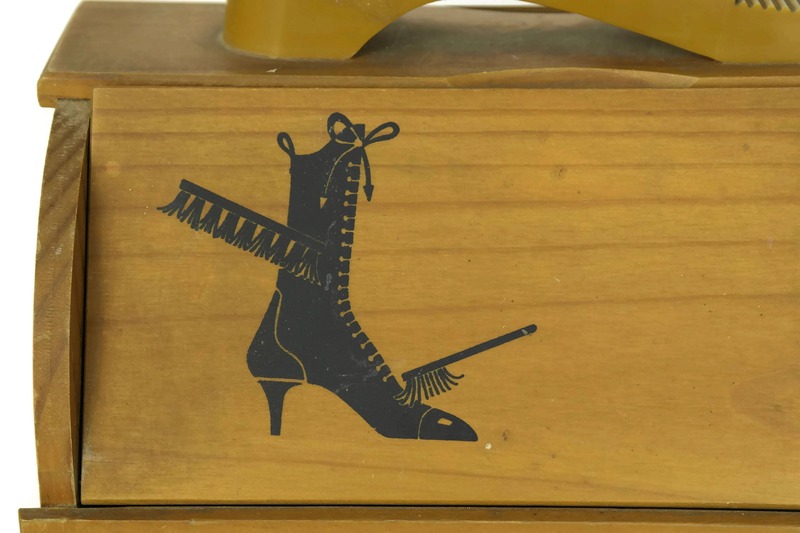 Both sides have been decorated with a charming graphic of a ladies' boot and grooming tool. 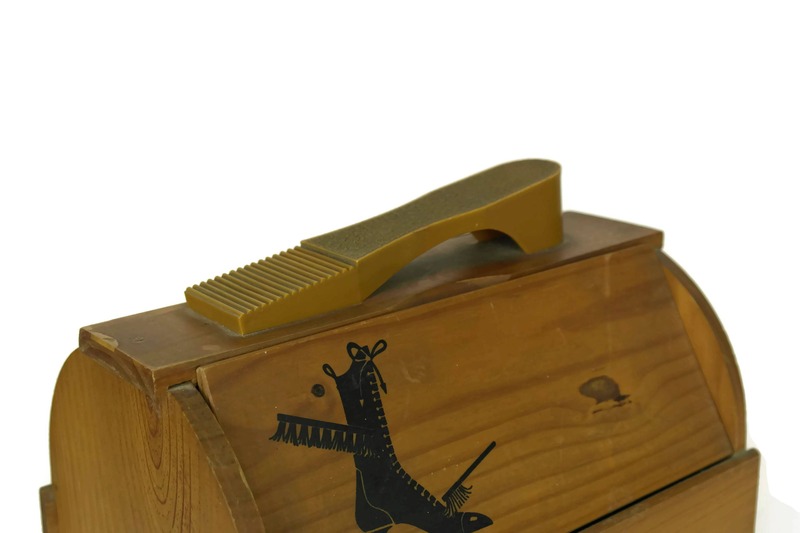 It will be very handy to store your shine and polishing shoe products. 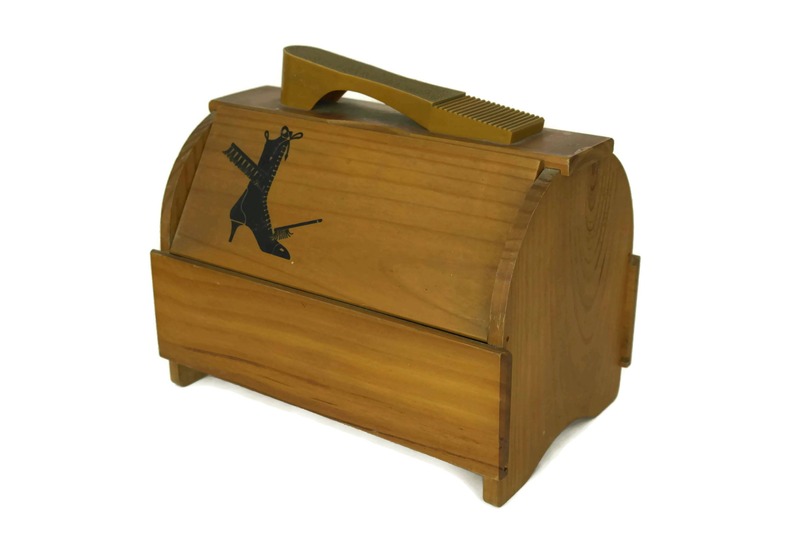 (25 cm x 29 cm x 20 cm). 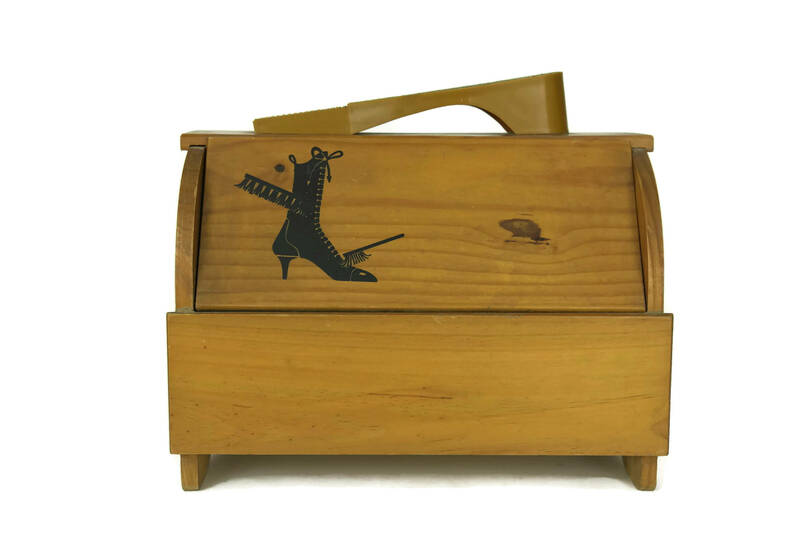 The shoe polish wooden box is in very good vintage condition with patina,light surface scratches and wear.